Mustafa Dedeoğlu was born in Istanbul, in 1978. After having completed primary and secondary schools in Turkey, he left for Cyprus for university studies. Having graduated from Eastern Mediterranean University with diploma in industrial engineering, he returned to his home city of Istanbul, where he now lives and continues creating his photography essays. He first got in touch with photography in 2006. With time his interest became ever-growing passion of his life. In his creations the artist prioritizes composition, the story, that he aims to tell, emotional value of the image and its aesthetic qualities. To Mustafa Dedeoğlu style in photography is first of all reflection of the artist's personality and philosophy in each and every photo he takes, rather than series of similar photos taken with same technique. 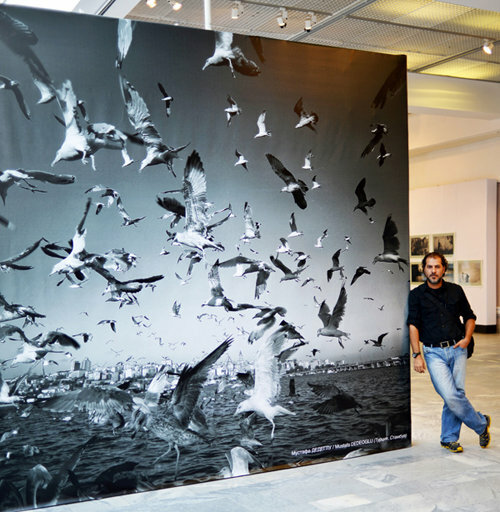 Mustafa Dedeoğlu's works are published in various local and foreign titles on art. The artist also shares his creations through exhibitions. Mustafa Dedeoğlu has been displaying his art in Russia, Spain, Bosnia and Herzegovina, Georgia, Kosovo, Macedonia, America, Tehran and France.